The presence of this Luciferian New World Order Empire in our world today begs the question, where did it come from? Everything except God has a beginning and this Luciferian Empire Conspiracy is no exception. Looking at biblical history we can trace it back to a definite starting point. Why use the bible do you ask? Because it is the reference point for both sides of the coin, its the source by which Christians, Secret Societies and New Age Religions reference as the point of beginning. Yes, all roads lead back to Genesis 3 and the Garden of Eden when Satan beguiled Eve into eating the forbidden fruit of the tree of knowledge. God created Adam and Eve and gave them paradise on earth and Adam was not a creature without intelligence, he named all the animals of the garden and God gave him dominion over everything in the garden except the tree of the knowledge of good and evil. Christians believe this was the beginning of sin for the human race. 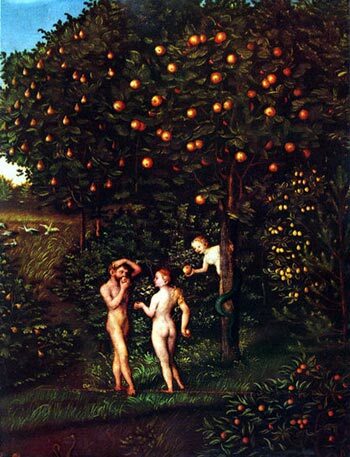 Luciferians view it as the day Adam and Eve were given intellect and freed from the garden, the age of enlightenment. God walked with Adam in the cool of the day and Adam had a innocent Spirit full of God's peace. You could very well say Adam had the Fruits of the Spirit in its natural form, before sins beginning. To care for and to enjoy God's blessings through it. Lucifer, through deception placed mankind on a journey of intellect which, because of today's knowledge explosion is called the Enlightenment of Technology. Today, Lucifer is hard at work using mankind's intellect to further his own desires to be like the Most High. He has many names and his name has no great priority as long as you worship him in your life through your choices. Make no mistake, Lucifer the same as God desires to Set Upon the Throne that is within you and the great majority of people worship him without even recognizing him as being their god. There is a difference between Revelation 13’s Biblical Prophecy of the Lamb which had two horns and spake like the dragon and the Luciferian Facade promoted today. The False Prophet system of Revelation 13 is here and most of us have been living in this system our entire lives. To what degree we have followed after the beast varies depending on our personal choice. That looks like a Lamb, but Speaks like a Dragon takes us in the direction of two modern day nations which hold onto a veneer of Christianity, but their core is pure Gnostic Luciferianism and those nations are England and the United States. These two nations fit Revelations false prophet two horns of the antichrist beast system of today. The United States of America from its inception was designed to be the New Atlantis of the New Age. The Phoenix Bird, the most celebrated of all the symbolic creatures fabricated by the ancient Mysteries, the symbol of alchemical transmutation, a process equivalent to human regeneration, rising from its ashes and to be reborn in power. For Christian it will be a time of Great Tribulation, America and its system will self consume along with its nest and from the chaos will rise up their new Adam, the Antichrist. A time of Global Government and a Global Ruler, the man of sin, the son of perdition This has always been the New Age position of the United States of America. Before the United Nations and the New Adam takes total power the biblical false prophet will Implement a System to force all great and small, free and bond, rich and poor to receive a mark in their right hand or in their foreheads. The United States has been working on the mark of the Beast system openly since the 1950’s and RFID Technology since the 1980’s. 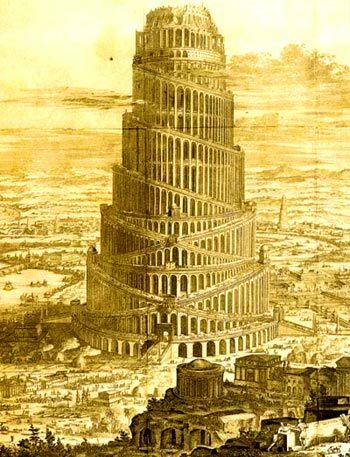 Intermingled with the technologies of this past century, the finality and fruition of the antichrist beast system. The government of the United States of America was built on the Roman Empire, the seventh kingdom from which the eight kingdom would rise, from which the world leader called the man of sin or perdition will take power. This eight kingdom is the United Nations formed in 1949 in San Francisco and moved to New York. Hind-sight is 20-20 and it's uncertain where in the world the United Nations will be re-located to once the America's system is consumed or destroyed. From what I can gather, when this eight kingdom, the Antichrist Beast System takes total control it will be in Eurasia, possibly the Hague. The History of this 8th Beast System can be traced back the to the East India Company which went underground and was then known as the East India House. Later it was called the Chatham House Think Tank. Today, it is known as the Royal Institute of International Affairs, a legitimate child of the Round Table organization and one of the world's leading institutes for Global analysis. Members included Charles Darwin – the father of Evolution, Karl Marx – the father of Communism, Marx’s mentor - Friedrich Engels, a social scientist and German philosopher. The teachings of Thomas Robert Malthus – the father of Eugenics, Race Science and Population Control. Writers like Ralph Waldo Emerson and Henry David Thoreau, transcendentalists who believed that man could transcend into gods, the philosophy of the New Age Movement itself evolved from the East India House. To the advancement of this early Beast system through a group of men called the Round Table, the Think Tank of the East India House. Members of the Round Table included men like Rothschild, Milner and Belfour – Arthur James Balfour was the Foreign Secretary who wrote the Balfour Declaration of 1917 to Britain's most illustrious Jewish citizen, Baron Lionel Walter Rothschild, expressing the British government's support for a Jewish homeland in Palestine, allowing the creation of the state of Israel. In November 1910, Rothschild’s representative Warburg met with J P Morgan and a few others on a Island off the coast of Georgia called Jekyll Island and finalized a plot to create the Federal Reserve Act. On December 23, while Congress was home for Christmas 3 members met and sign into law the American banking system of today. Next the Round Table attempted to create World Government through the League of Nations. When the League of Nations failed the Round Table setup a western branch in the United States and called it the Council on Foreign Relations (the CFR). 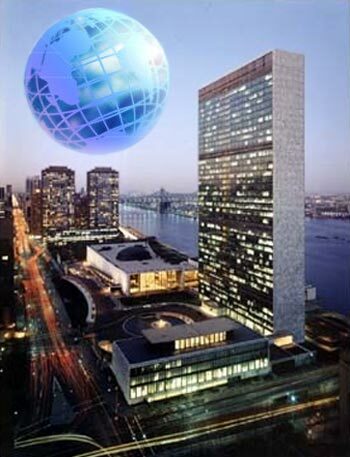 The basis for the foundation on the United Nations was formed when the United States and England (the false prophet lamb with two horns ‘kingdoms’ who speaks like a dragon) drafted the Atlantic Charter in 1941 which laid the foundation for the future world government called the United Nations.